Watching your child struggle at home or inside the classroom can be difficult for parents to face. 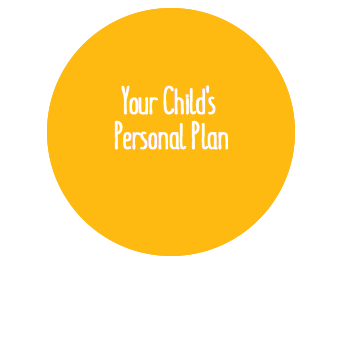 We understand the difficulty, and we want to help you and your child unlock their full potential. The Brain Balance Achievement Center of Norwalk helps children overcome their academic, behavioral, and social issues without the use of drugs or medication. The Brain Balance Program has helped children throughout the country overcome their challenges through an integrated approach that considers the whole-child. Our program helps to uncover the root cause of your children’s challenges and combines the use of academic activities, sensory motor training, nutrition plans, and at-home activities to help them lead a more successful academic and personal life. Your child’s journey with Brain Balance starts with taking a personalized assessment. The Brain Balance Achievement Center of Norwalk will use what we learn from their assessment results to put together your child’s personalized plan. By doing this for each child, we create a customized program that addresses any difficulties your child may have. Often described as high-functioning autism*, Asperger syndrome (ASD) is a pervasive developmental disorder on the autism spectrum. Asperger Syndrome is characterized by social impairments, communication difficulties, and motor coordination issues as well as displaying signs of restrictive and repetitive behaviors. Children with Asperger Syndrome may find reading social cues challenging and may not understand subtleties, such as humor, sarcasm, or irony. Although these children may struggle with many of the social and sensory issues of those that are higher on the autism spector, they tend to have average to above-average IQs and well-developed vocabularies. The Autism Society cites that one of the major differences between Asperger syndrome and other autism spectrum disorders is there is no speech delay in Asperger’s. Our approach to addressing Asperger syndrome focuses on combining individualized sensory motor and academic activities that address right-brain connectivity and associated behavioral issues. Whether your child is struggling at home or in the classroom, The Brain Balance program can help to address the challenges of Asperger syndromes through our holistic approach. By identifying the areas where we find the greatest need for improvement, our program can help children improve their developmental functions. Uncovering the root cause of your child’s challenges is what makes The Brain Balance Program effective in helping children with high-functioning autism and Asperger syndrome. We invite you to read through our stories from Brain Balance parents to learn more about how our program is positively impacting the lives of children. *It is important to speak directly with your Doctor concerning the presence or confirmation of any diagnosis of a spectrum disorder. If your child is showing signs of repetitive behavior, struggling to pay attention and having mood swings, reading body language and maintaining eye contact, we can help. Brain Balance Achievement Center of Norwalk can create a customized plan to help children with Asperger’s syndrome unlock their full potential. To learn more about how Brain Balance can help children with Asperger syndrome, call our center today at 203-847-3000.